#36 parked in front of the shop. George Landrock collection. #36 in front of the McCloud shops preparing for a day's work. Photo by and courtesy of George Landrock. #36 switching in the Mt. Shasta City yards while an SP freight races by northward towards Oregon. 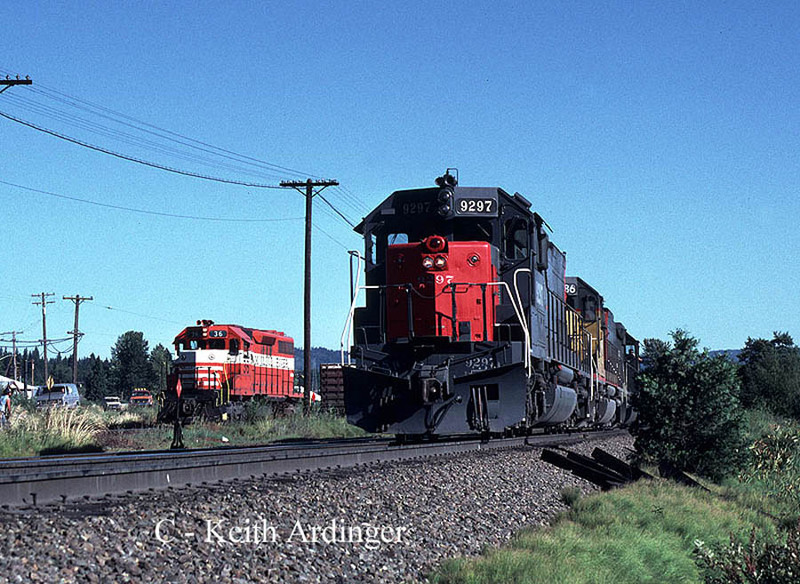 Photo is dated August 1981 and is by and courtesy of Keith Ardinger. Notice the masking tape on the ground around the locomotive...the #36 has just been re-painted into the brown and orange paint scheme adopted by the railroad in 1982. 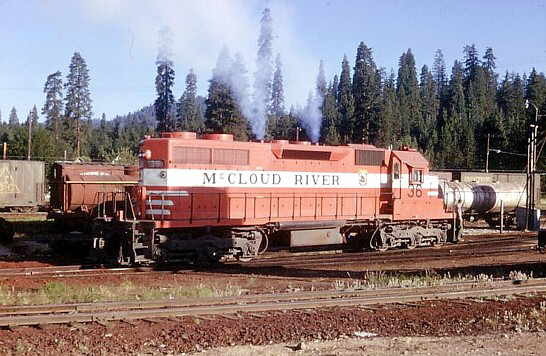 Locomotives #36, #37, and #38 all received this new paint scheme, while #39 retained the orange and white applied to all four locomotives by General Motors prior to delivery to the McCloud. Photo by Jimmy Bryant, courtesy Nevada Historical Society. 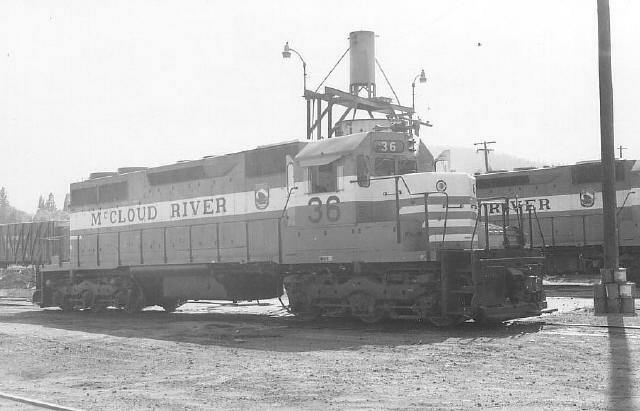 In the mid-1980's the railroad decided to honor long-time superintendent Sidney Muma by naming the #36 after him. 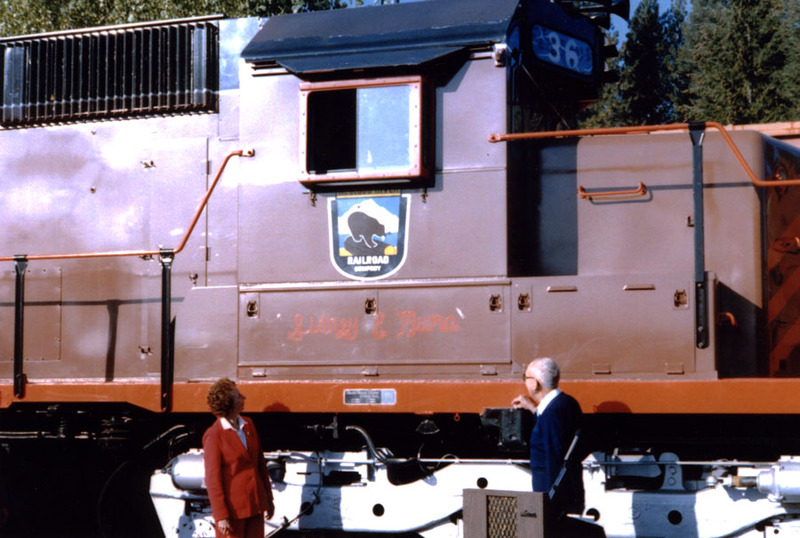 Sid and his wife Helen are seen here in front of the locomotive during the dedication ceremony. Photo from the Travis Berryman collection. Ditch Creek, CA, 5/1995. Photo by Jason Moore.